The tumor is well-circumscribed and even appears partially encapsulated. The cut surface is reddish brown with areas of scarring. 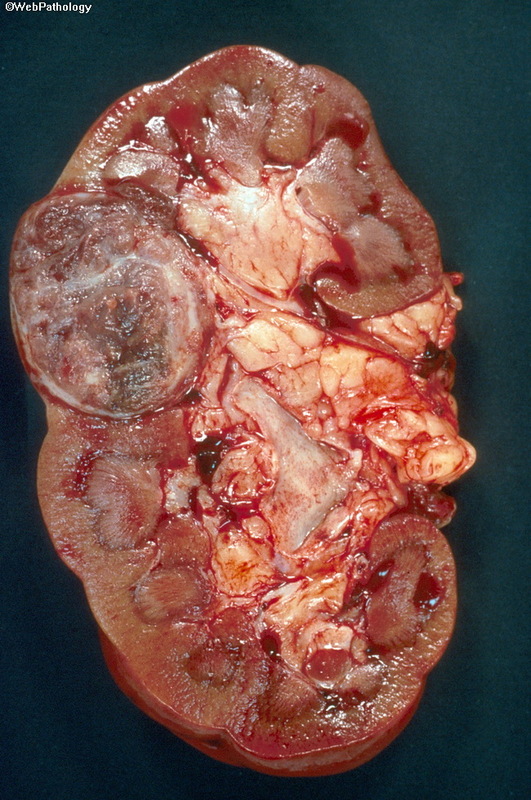 The tumor is confined to the kidney. Microscopically, it was a typical example of chromophobe renal cell carcinoma.